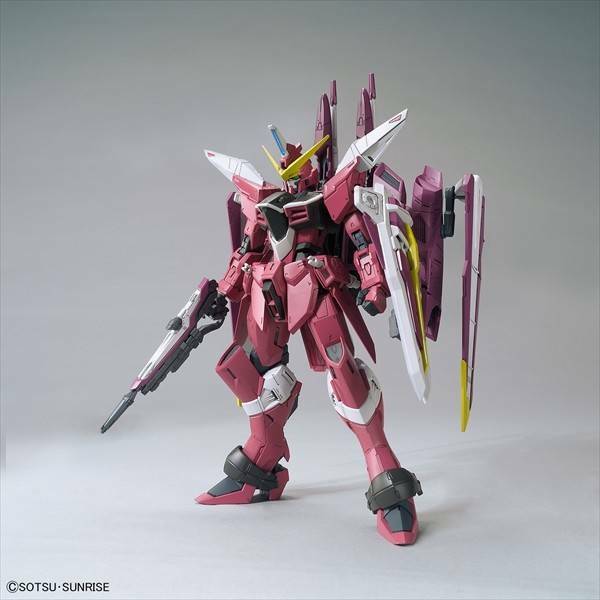 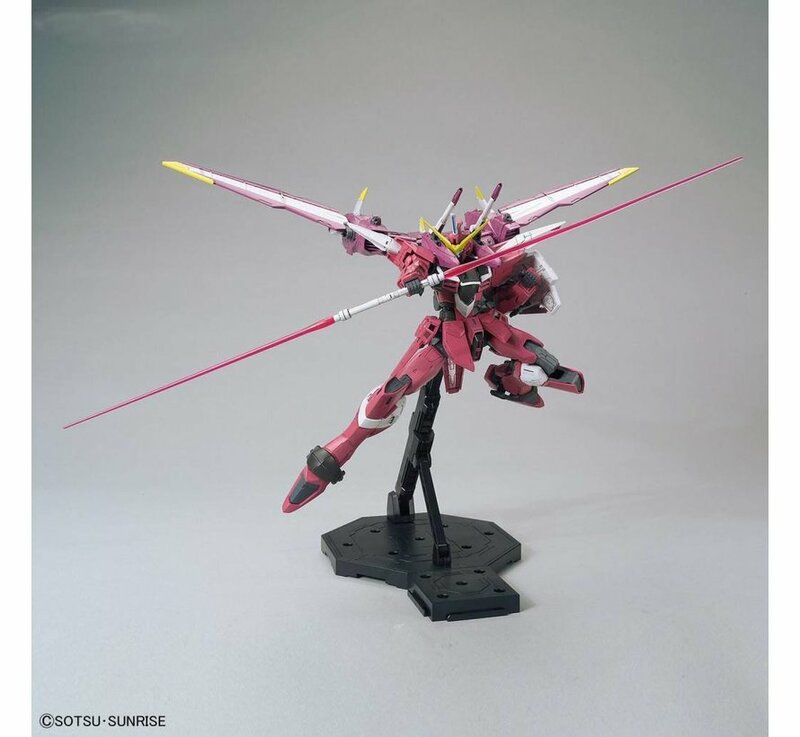 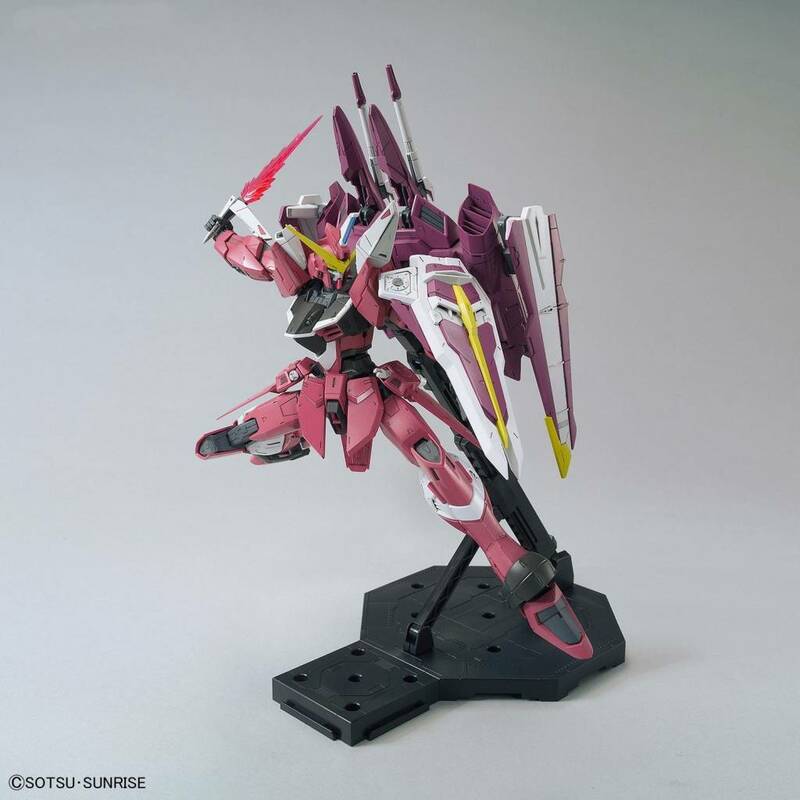 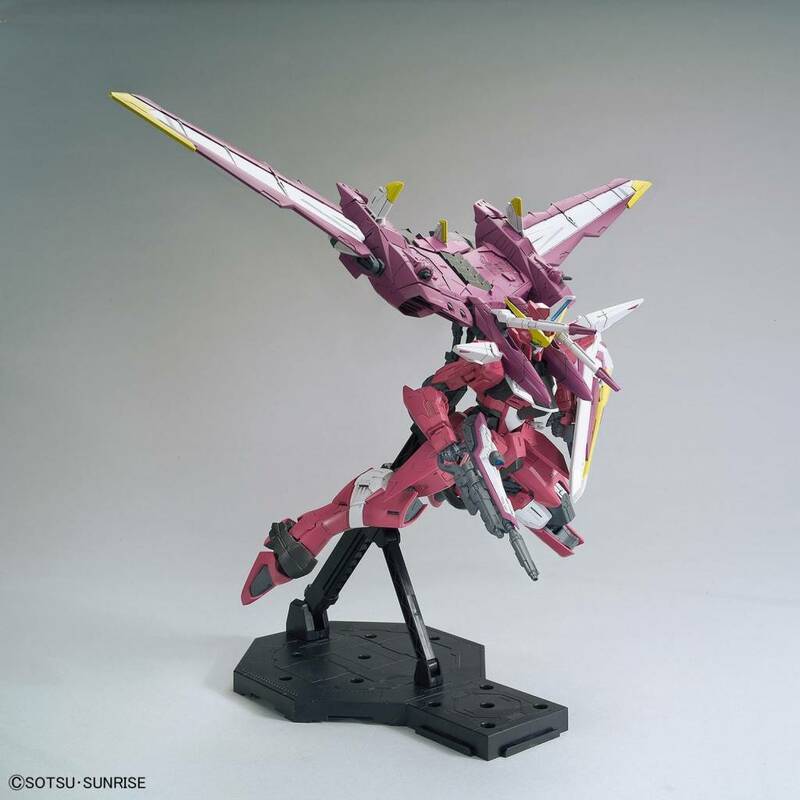 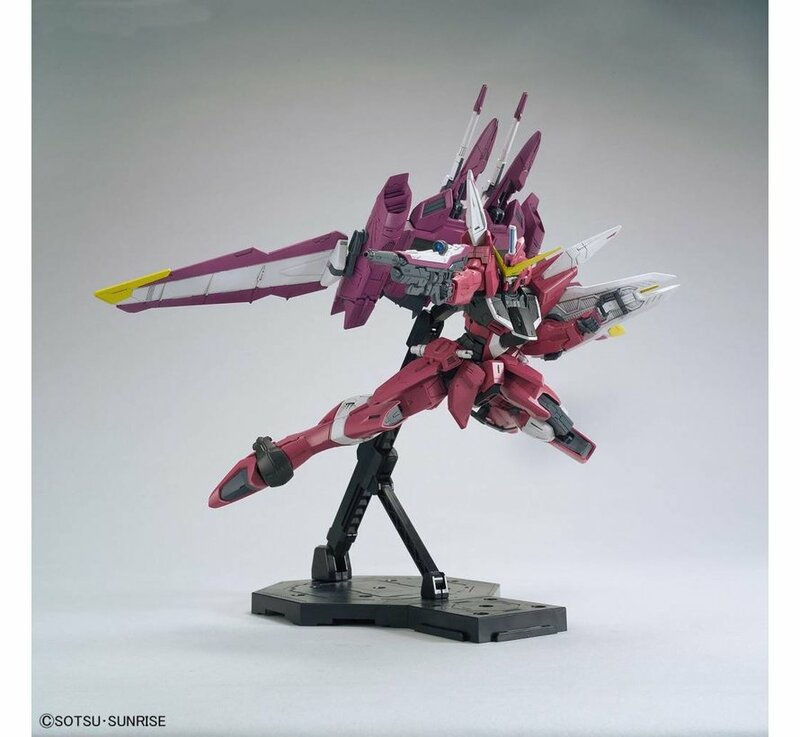 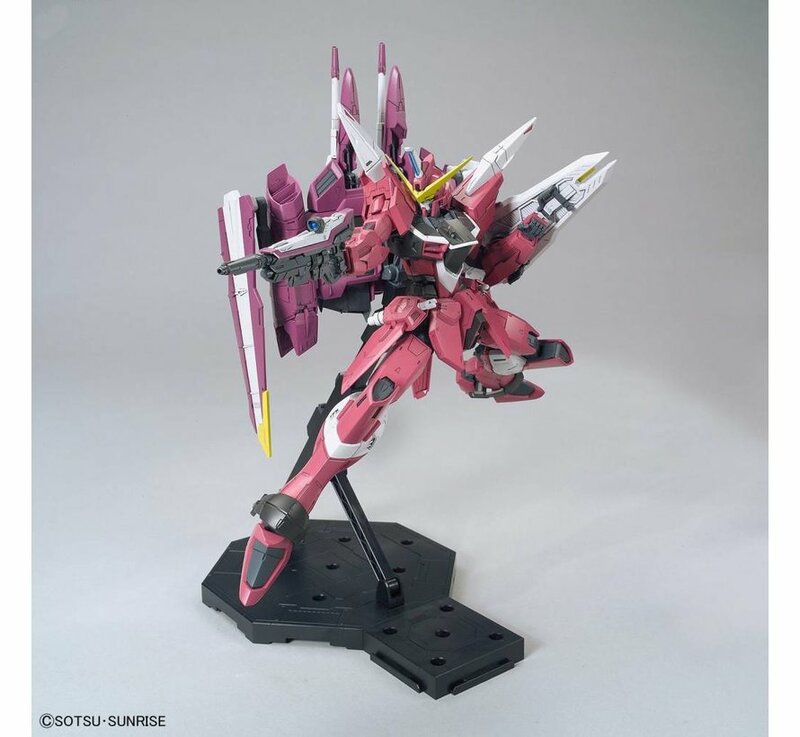 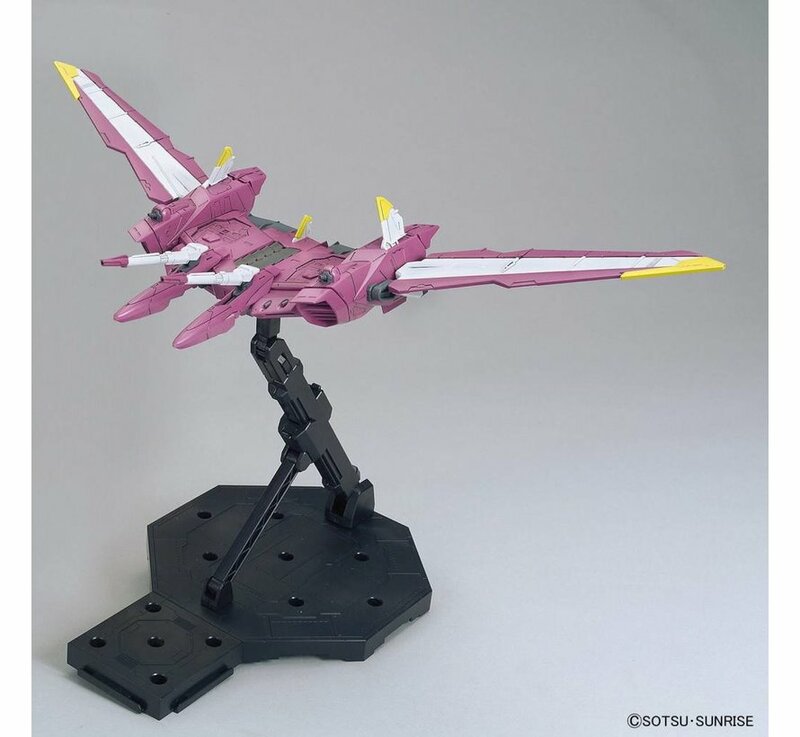 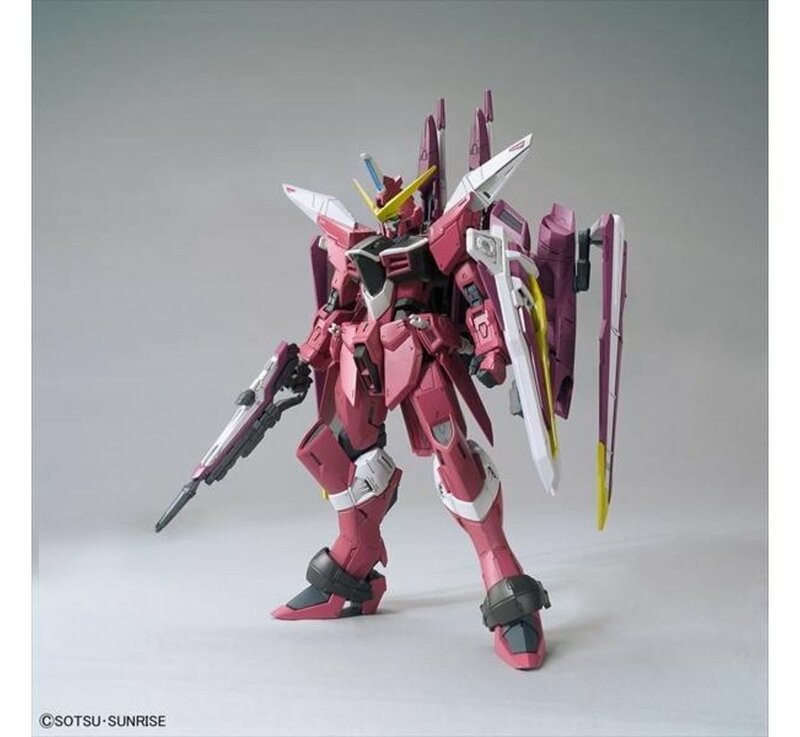 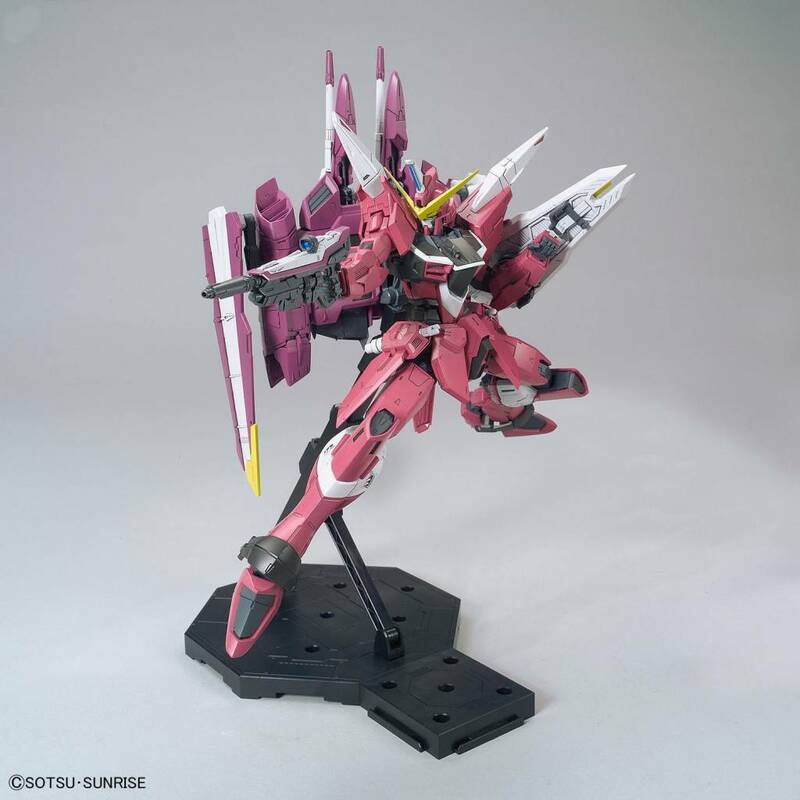 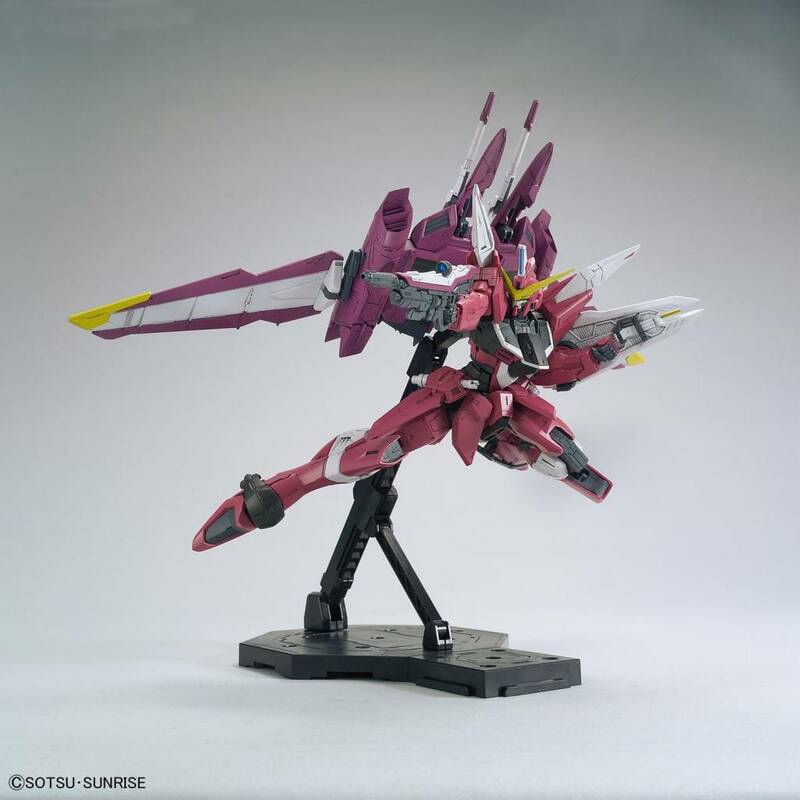 This is a Justice Gundam "Gundam Seed", Bandai MG 1/100 By Bandai Hobby (Gunpla). 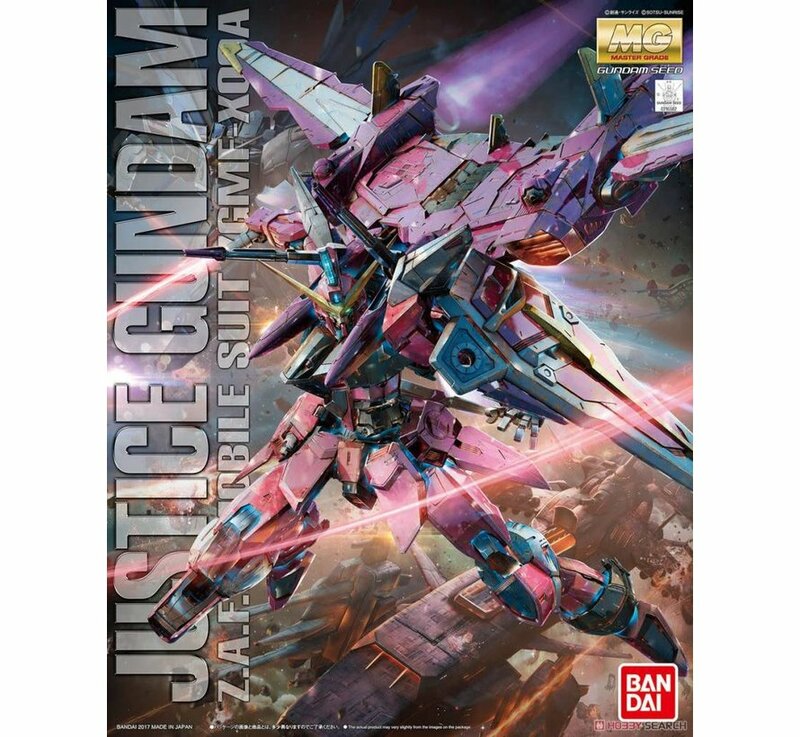 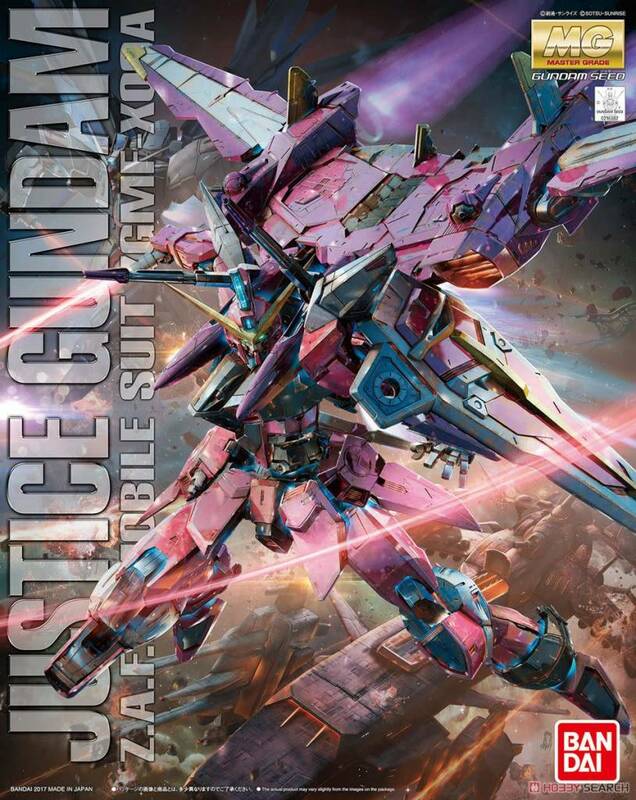 - [Justice (Justice) the name of the backpack City, SEED one of the strongest aircraft, Justice Gundam long-awaited first MG of! 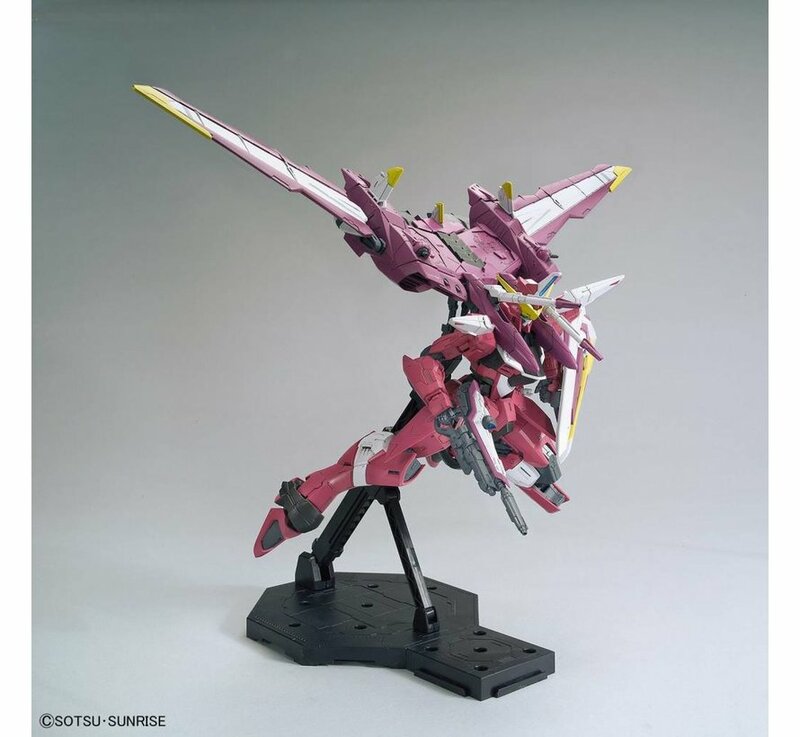 Arrangements were added to meet the SEED system MS of the sale, reproduce the setting of the same ZAFT made MS in MG taste by using some common frame. 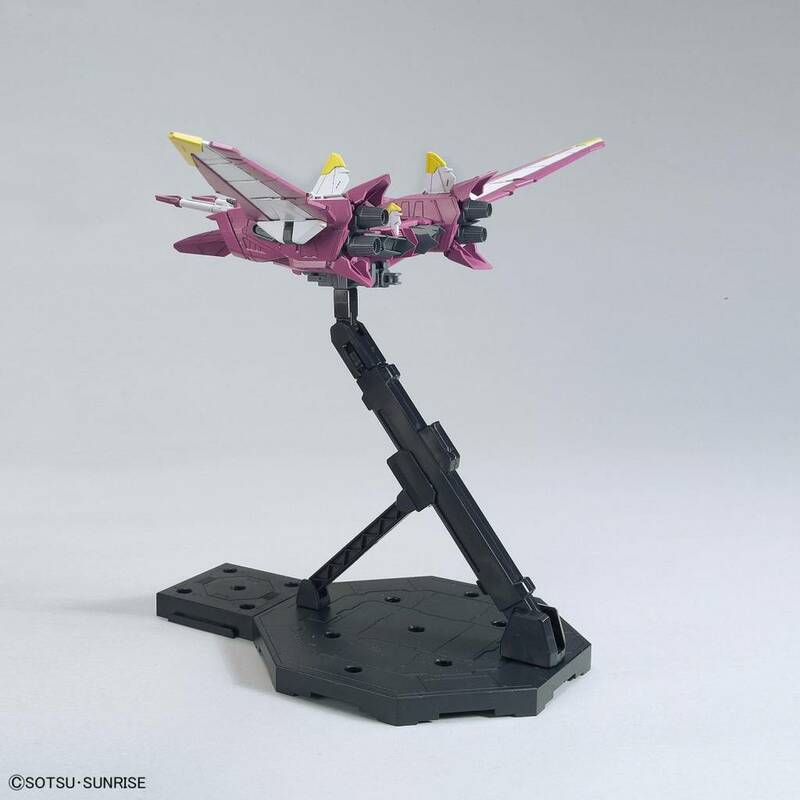 - The moveable beam gun base of Fatumu -00, can be deployed to the flight form with no removable parts. Fatumu -00 adopted deployment gimmick! 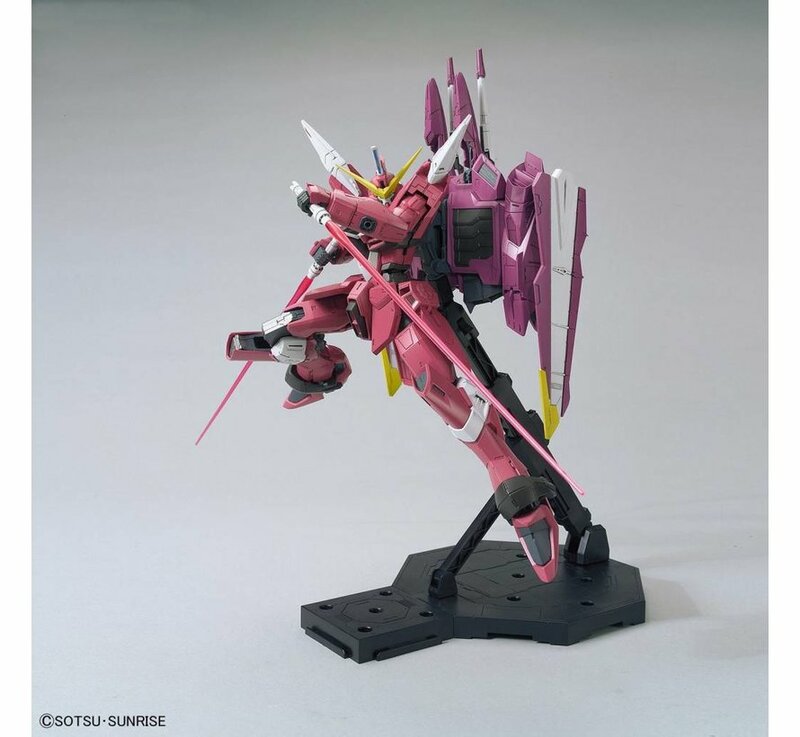 Boarding to pose is possible! 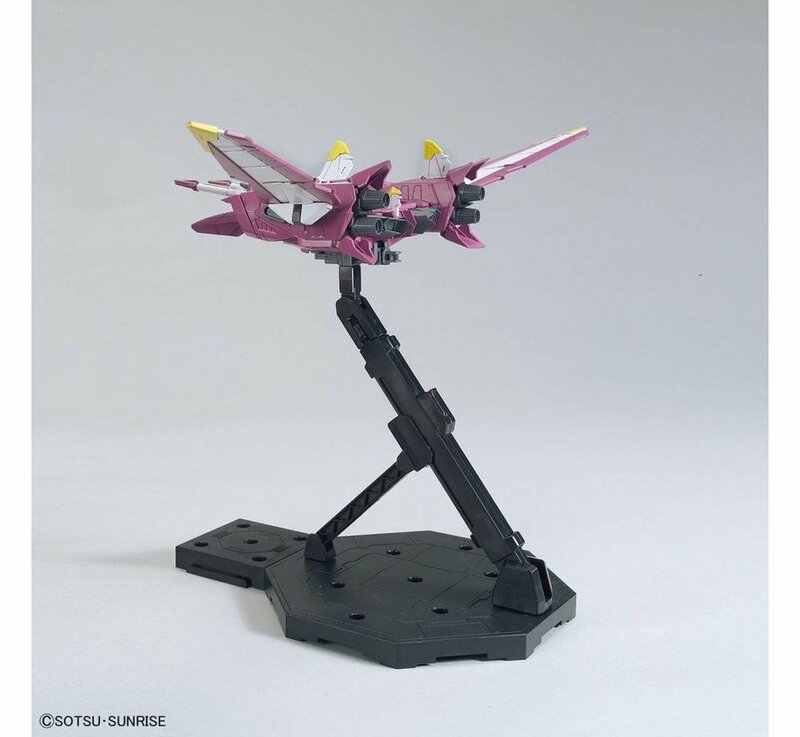 · Fatumu -00 comes with a display base for boarding. 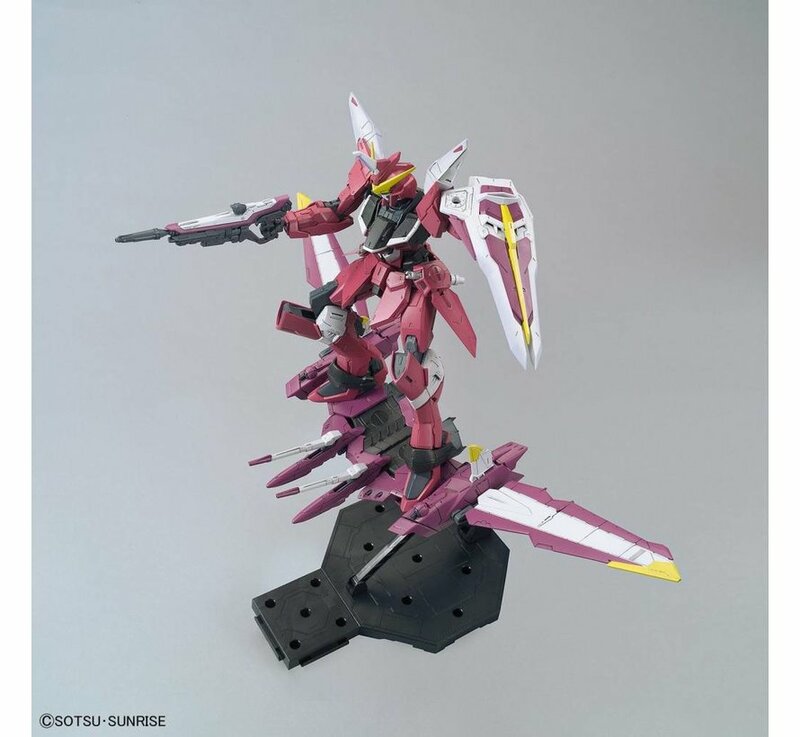 · MS riding section slides deployed, Fatumu -00 is large in size at the time of boarding, recreate the atmosphere of the play. · Rakeruta-saber is possible reproduce the dual wield and halberd! 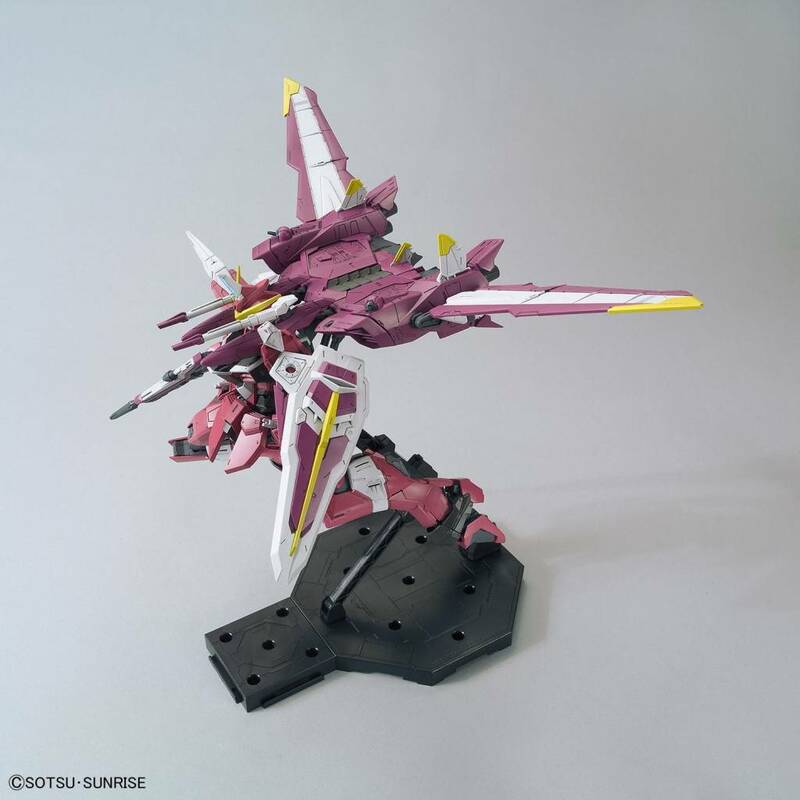 · Leg reproduce the fine detail, such as thrusters. 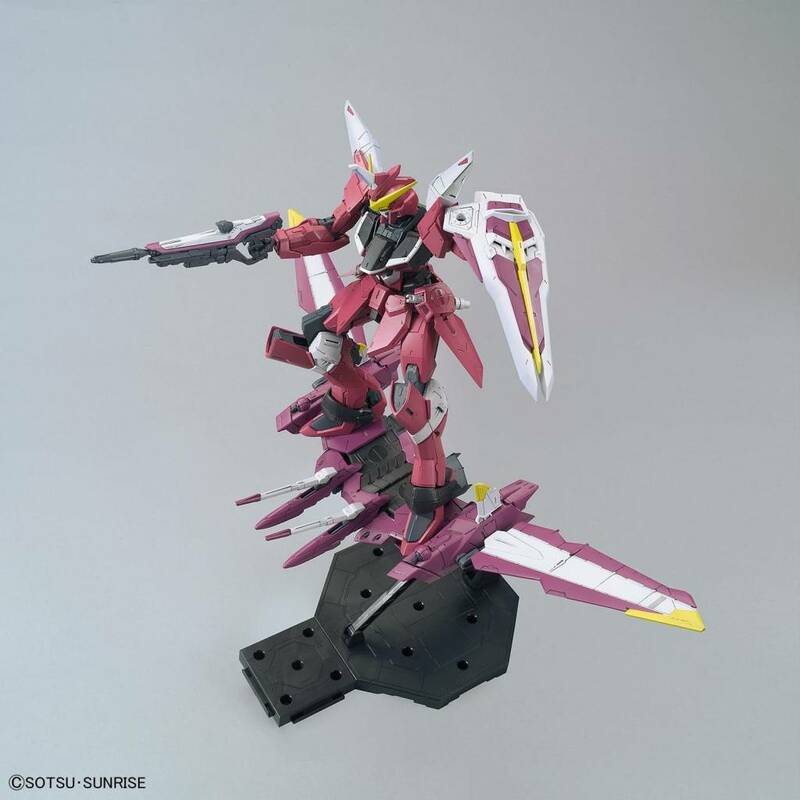 Cockpit of the opening and closing gimmick and pilot figure also included. 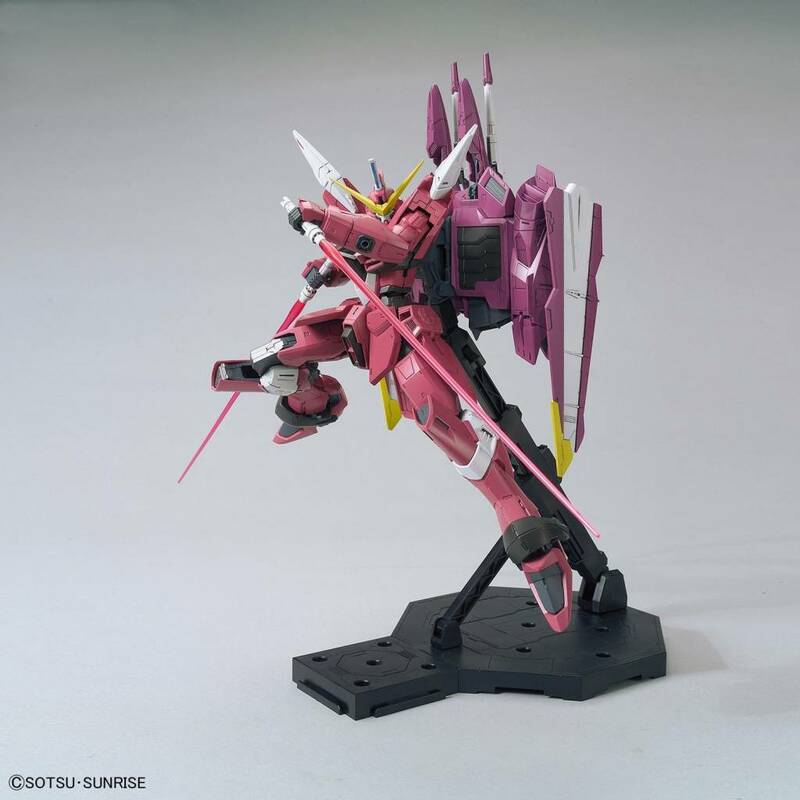 · The drawer gimmick of the neck joint, can pose of space-time combat.